The closing ceremony of the Sochi Olympics is underway. Organizers are promising a trip through Russian culture — literature, art and music. 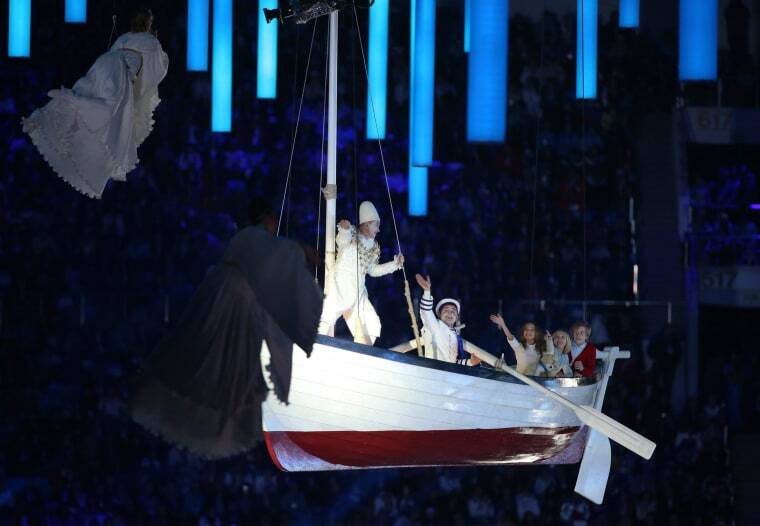 It’s a little different take from the opening ceremony, which was a journey through Russian history. The star is once again a fictional Russian girl named Lubov. For an opener, dozens of dancers on the stadium floor are undulating in glittery robes to form the effect of the sea, with Lubov and some friends suspended above in a boat. A cast of 5,000 volunteers in all is involved in the ceremony. Later, the rituals of the close of any Olympics will be carried out. The Olympic flame will be extinguished, and the Olympic flag will be handed over to organizers from Pyeongchang, South Korea, which will host the next Winter Olympics in 2018.